The relationship between ‘religion’ and ‘nonreligion’ is often commonly assumed to be one of division or separation. In today’s blog post Anna Strhan discusses how ideas about celebrating ‘life’ and ‘reason’ among both religious and nonreligious communities also highlights lines of connection and affinity. In his 1909 essay ‘Bridge and Door’, Georg Simmel describes the human being ‘as the connecting creature who must always separate and cannot connect without separating … And the human being is likewise the bordering creature who has no border’ (1994: 174). We make sense of the world through our capacity to connect and to separate things, and Simmel argues that this guides all human activity, shaping our physical, symbolic, emotional and imagined spaces and leaving material marks in the world around us. Exploring the nature of human modes of connection and separation is fundamental to sociology, and is perhaps particularly pertinent in studying ‘nonreligion’ and its relations with ‘religion,’ as it is indexed in the very act of naming this a field of study. In my writing ‘non-religion’, what modes of uniting and disuniting shape my instinct to hyphenate the word (or not)? As the prefix ‘non’ carves out a space of separation from religion, it also draws attention to the doubled nature of lines of division: ‘the separation of objects, people or places is always shadowed by the idea – the “fantasy” or the danger – of their connection’ (Tonkiss 2005: 31). Drawing out deeper understanding of the (simultaneous) practices of connection and separation between religious and non-religious cultures can enable us to develop more nuanced understandings of the everyday realities of members of these groups, which move beyond common assumptions that their interrelations are necessarily antagonistic, and instead open up common grounds of experience. I have been conducting ethnographic fieldwork with different kinds of evangelical church in London since 2009, and through this, I have often been struck by both particular kinds of affinity and acts of distancing from non-religious and other-religious groups that members of these churches engage in across different contexts. At an open evangelical church where I have been conducting fieldwork, for example, one Sunday morning, the minister of this church said to the congregation that some of them may have heard about ‘atheist churches that have started meeting to celebrate life together’. He then said that one of these was having a harvest festival, and would be giving the food they collect to the open evangelical church’s food bank, and so a member of the church staff was visiting them that morning to collect the food ‘and to build links with them’. This incident not only reveals friendly institutional relationships between atheist and open evangelical churches, but the description of the atheist congregation as gathering together ‘to celebrate life’ also opens up a wider point of connection. The Sunday Assembly, for example, describes itself as ‘a godless congregation that celebrates life’ and as ‘a global network of people who want to make the most of this one life we have. Our mission: to help everyone find and fulfill their full potential.’[i] This in many ways mirrors how members of both the open evangelical church and the charismatic evangelical church I am studying talk about ‘life’. Both churches name their programmes of small group study and discussion meetings ‘life courses’, and the leaders of the open evangelical church describe their ‘Life Resources’ as intended ‘to enable you to become the best possible version of yourself’. Their elaboration of what this means in practice includes, like the Sunday Assembly, a strong focus on ‘inclusivity’ and ‘community’. Members of both the open and charismatic evangelical churches also often talk about ‘doing life’ with each other. When I asked people what they thought ‘doing life’ meant, they said it was about seeing faith as not just about being in church, or reading the Bible together, but as something found in everyday moments of relationality, just hanging out with each other and doing very mundane things together, and implying a sense of ‘building community’ through these interactions. Only a couple of individuals said they wouldn’t use the phrase: one said he thought it essentially rendered faith meaningless, as it implied that everything was faith, since nothing could fall outside of ‘life’, and in his view, this meant there was nothing distinctive to Christianity. What lies behind the contemporary prominence accorded to ‘life’ in both these evangelical and non-religious cultures? Simmel (1997) argues that the experience of fragmentation in modernity intensifies a desire for coherence across all spheres of social interaction, and we could perhaps locate this sacralization of ‘life’ as bound up with a longing to see all – even the most mundane details of our lives – as ultimately connected as part of ‘life’. Or perhaps we could interpret the celebration of life as in both cases a strategy of differentiation from Christian cultures that place significant theological emphasis on life after death, so that in many ways, the identities of both the open evangelical and atheist churches are shaped through their acts of distancing from other, more conservative, religious traditions. Conservative evangelicals do not talk about ‘doing life’, yet it is also possible to see different kinds of affinity with (as well as separation from) non-religious groups, for example, in the ways that both talk about ‘reason’. While I was conducting fieldwork with a conservative evangelical congregation, members of this church were involved in a student mission at Durham University at the same time as the Durham University Humanist and Secular Society organized its own mission in the form of ‘Reason Week’. When I spoke to members of the church about this, they said – perhaps unexpectedly – that they liked the fact that ‘Reason Week’ was happening, as it meant that those who had organized it at least took religion seriously as an object to be engaged with and argued about, in contrast with what they saw as a more standard blasé student response. The significance accorded to ‘reason’, and the style of argumentation and discourse implicated in this, was pervasive throughout my fieldwork in this church, from my first meeting with the rector, who recommended I read Rodney Stark and Roger Finke’s Acts of Faith (2000), which, in his words, ‘argues that faith is entirely rational’. While we might often think of the enchantments of reason as inseparable from narratives of an increasingly non-religious Western modernity, my time with conservative evangelicals indicated that it also occupied a privileged place in their self-understanding and practices. This affinity in the celebration of ‘reason’ among particular evangelical and non-religious cultures then raises questions about the dynamics of gender, social class, and education that shape the particular cultural styles of these groups. Although ‘life’ and ‘reason’ may carry different resonances across these different groups, attending closely to particular concepts that are prominent in both religious and non-religious cultures may help deepen understanding of the specific affinities between different groups that we are often tempted to treat as separate. It also has the potential to open up further what matters to people in the social and cultural spheres that are characterized as in some sense associated with ‘religion’, whether individuals see themselves as standing in identification with, indifferent to, or in opposition to religion. Although the discursive strategies of particular religious and non-religious groups are often acts of distancing from another culture, in each act of ‘othering’ there is also, as Simmel highlights, a haunting by the possibility of connection, and these modalities of otherness, separation and desire raise important questions about the kinds of subjectivity and experience these relations enable and foreclose. Studying these practical modes of interrelationality can help us draw more precisely into focus the question of what is delimited as ‘the religious’ in everyday social life, and also illuminate the complex textures of the moral landscapes of modernity. Simmel, Georg (1994) ‘Bridge and Door’, in David Frisby and Mike Featherstone (eds) Simmel on Culture (London, Sage), pp. 170-4. — (1997) ‘Religion and the Contradictions of Life’, in Horst Jürgen Helle (ed.) Essays on Religion (New Haven, Yale University Press), pp. 36-44. Stark, Rodney and Roger Finke (2000) Acts of Faith: Exploring the Human Side of Religion (Berkeley, University of California Press). Tonkiss, Fran (2005) Space, the City and Social Theory: Social Relations and Urban Forms (Cambridge, Polity Press). 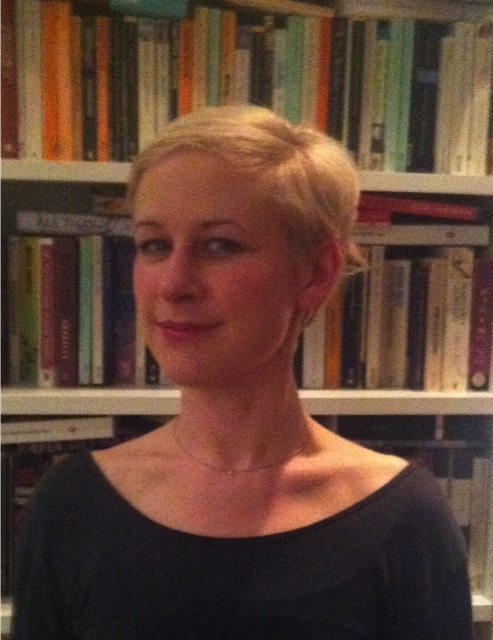 Anna Strhan is a Leverhulme Early Career Fellow in the Department of Religious Studies at the University of Kent. She is the author of ‘Levinas, Subjectivity, Education: Towards an Ethics of Radical Responsibility’ (Wiley-Blackwell, 2012). This entry was posted in Launch Series, NSRN Blog and tagged Anna Strhan, community, nonreligion, relationality, religion. Bookmark the permalink. Interesting article. Don’t forget that one possible reason why The Sunday Assembly and evangelical churches connect in certain areas is because both founders of The Sunday Assembly come from evangelical backgrounds and are influenced by those organisations. One of their earliest stated aims was to recreate the community aspect of evangelical churches, without the associated dogma.